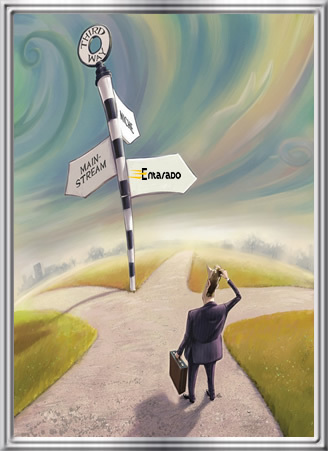 IF YOU WANT TO PARTICIPATE IN THE CREATION OF INNOVATIVE AND GRAND TECHNOLOGY SOLUTIONS, COME WORK WITH ENTARADO GLOBAL. YOU WILL HAVE THE OPPORTUNITY TO WORK IN A VARIETY OF INTERESTING PROJECTS WITH A DIVERSE TEAM TO TALENTED AND EXCITING PEOPLE. Entarado is always looking out for good Web Developers to join our talented team. You would be involved in the development of both the front and back end of Web designs to create pixel-perfect executions of our projects. Projects will include but not be limited to: complex site breakdowns & builds, custom content management and other back-end systems, integration with Flash and other front-end systems. Applicants must have expert-level knowledge of PHP/MySQL, HTML, and CSS. Understanding of cross-browser compatibility, SEO-friendly practices (Search Engine Optimization). Also mention what Professional Certifications you may possess e.g Cisco Certs, MCSE etc. Please also make clear any additional languages or platforms you're proficient with. We are always in the lookout for Graphic Designers to join our talented team and create very attractive and cutting-edge visual images/animations for a diverse list of High-Tech projects. In this position, you will design brilliant and engaging interactive graphics for a wide range of projects and target platforms. Contribute to the production of your designs in all phases. Contribute to creative concept development, individually and with multi-disciplinary teams. Receive direction from team directors in creative and client strategy. Seek to constantly innovate and maintain a broad knowledge of design principles, industry trends, and emerging ideas. We always have opportunities for Computer Engineers. You should be well grounded in hardware maintenance, Operating System environments such as windows and Linux. Please specify other operating systems you may be conversant with. You must also be very good at computer networking, professional network security as you will be dealing with diverse network technologies.